2011 was meant to be the year of the tablet, when the march of slates into our homes would be irresistible. So, has it worked out that way, does everyone really have a tablet? And have customers taken up iPad alternatives? From our view of the market the answer is a resounding yes, but also a no. Overall, the take-up of tablets as a format has been impressive; there's been a 400 per cent increase in tablet orders at Expansys in 2011 compared to last year. We also witnessed a big rise in traffic upon the release of the iPad 2 in April, the kind of demand that marks a major arrival into the public consciousness. But in terms of sheer variety for consumers, the situation is also positive for Android, with a seemingly endless line of new tablets arriving in our warehouse. Those who want to have the tablet experience without using Apple have never had it so good - it's no longer a case of finding something that can do the job of the iPad, but finding one that suits you. But when it comes to overall units shifted it's much less of a rosy picture. Last month at All Things Digital's AsiaD conference, Google Mobile Chief (and founder of Android) Andy Rubin said there are now 6 million Android tablets out in the wild, a figure he felt showed Android tablets hadn't "completely flopped" compared to the iPad 2, which has so far shifted over 40 million units. As a retailer, changing perception amongst the general public, and showing that Android tablets are as desirable as the iPad 2 remains our biggest challenge. In the last three months, four of our top five selling tablets have been running Android, but there has not been a shift towards it becoming the most popular OS in the same manner as with smartphones. 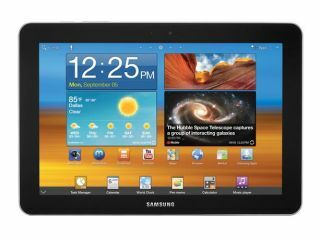 For example, the Samsung Galaxy Tab 10.1 and it's siblings have sold well, achieving over a third of the orders we have had for the iPad. But we've had 20 times more orders for the Samsung Galaxy S II, our best selling smartphone, and one of the top selling items overall, so far this year. Android take-up for phones far exceeds that of tablets. Android models are yet to capture the public's imagination (or trust) in the way Apple has. Yet. Alternative from factors, such as the Eee Pad Transformer which has been a hit with our tech-savvy audience, and the Galaxy Tab 8.9, perhaps indicate innovation is what could excite the public in Android slates. Why simply clone the iPad? Instead, those manufacturers that provide credible alternatives, not just in OS but also in form factor seem best positioned to take market share. Not everyone has a tablet yet, but it's a format that's here to stay, with exciting new products on the horizon like the Transformer Prime. If a manufacturer can produce an innovative tablet for a little less (we can all remember what happened when HP reduced TouchPad – we received hundreds of orders a day) there's an eager customer base ready to take the plunge.